If you want your hairstyle to be a true reflection of your style as a modern bride, as well as be a detail of your wedding look that you can look back upon without regret, than these modern and chic hairstyle suggestions are for you. Although an updo is a more classical hairstyle, it can also be very modern if you give it a look that is simple, bare and free of any adornment, seeing as this type of hairstyle is usually complemented by hair accessories such as tiaras, pins, veils or flowers. This option implies a simple and casual look: the updo is created so as to portray the effect that you just finished putting up your hair – however, be warned that creating a hairstyle that must look simple is more often than not very hard! If you’re looking for a modern and simple look, this is an excellent option. 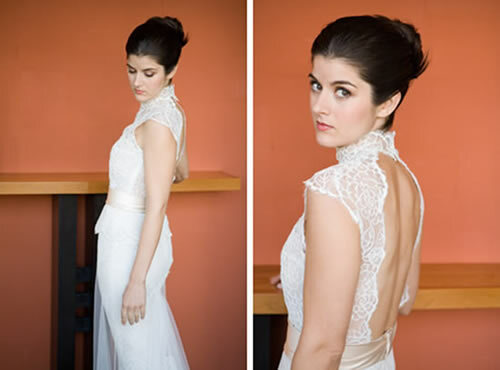 A more casual hairstyle should complement both the bride’s personality, as well as the style of the wedding. This suggestion is a way of doing just that – adding a touch of modernity to the bride’s look, but in a simple and elegant fashion. 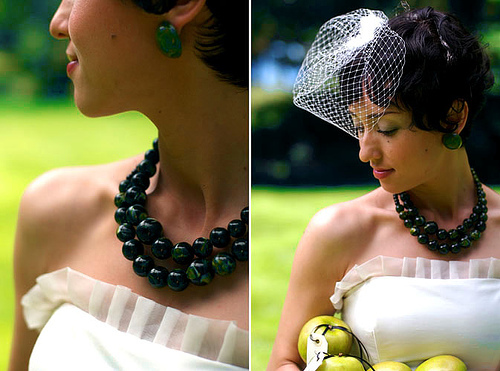 A veil can be worn with any length of hair, including short ones. Because of its simplicity, short hair can be perfectly adorned with a traditional veil, which adds a very classic, chic and relaxed look to any bride with short hair. Taking advantage of a short and bold hairstyle and adorning it with a small veil relives the classic and very feminine 40s and 50s, where Hollywood stars would shine at glamorous parties, a time when women were always feminine and elegant. This hairstyle could give a bride a simply unique and stunning style. Medium length hair can be left alone in all its splendor, exclusively with a vintage look. This type of hairstyle, from the 1920s, is a very elegant and timeless hairstyle. If your hair and your personal style fit this description, than this may very well be the best hairstyle for you as a bride. 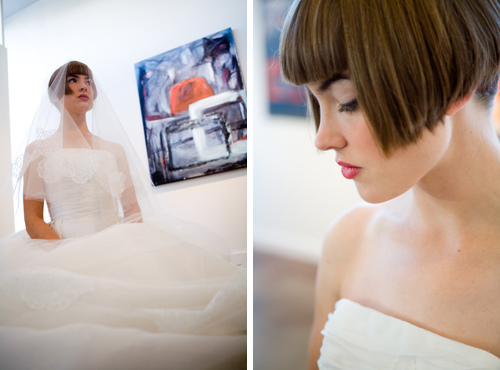 A more daring hairstyle can always include a classical touch – all you have to do is add a simple and classic veil. Even though the haircut and style are very bold, the veil gives the look a very classic and original feel. A short hairstyle can simply be adorned with beautiful flowers. Just be sure they are securely fastened so that they don’t get lost during the wedding… This casual and simple look allows the natural beauty of any bride with short hair to shine through.